truly is picture-perfect. Where else can you find such scenic variety? Crashing surf and placid lakes, tiny highland hamlets and bustling cities, ancient rites and modern magic - it's all here. 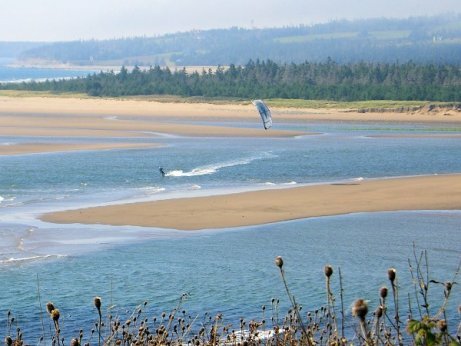 Although only 560 km from tip to tip, Nova Scotia's coastline stretches over 7400 kilometers. Sail along of Nova Scotia’s Atlantic Coast, from Shelburne all the way to Cape Breton’s Bras d’Or Lake. Along the way you’ll discover secluded beaches, friendly seaside towns, hundreds of islands, yacht clubs, marinas, and no shortage of wind for your sails. Or sail Canada’s inland sea at the Bras d’Or Lake Biosphere Reserve in Cape Breton, one of the five UNESCO designated sites in Nova Scotia. Countless bays, coves, inlets and harbours provide some of the best sailing in North America, excellent scuba diving, wind surfing and sea kayaking. Nova Scotia is one of the finest places on the eastern seaboard for whale and bird watching. Around every bend, a new treasure awaits the explorer. Whale watching on the Bay of Fundy or off the coast of Cape Breton is an aweinspiring experience. With more than 10 species of whales to discover, head out on a whale watching tour that will leave you speechless. Memorable golf, outstanding courses, spectacular scenery and hospitable service have established Nova Scotia in the international golfing realm as a recognized world-class golf destination. In 2005 the LPGA Tour made its first ever stop in Nova Scotia when Glen Arbour hosted the 2005 BMO Financial Group Canadian Women's Open Golf Championship. Choose from over 60 courses throughout the province, where classic designs and contemporary layouts combine championship depth, diversity and pure golfing pleasure. Stroll down sculpted fairways framed by magnificent natural settings, strategic hazards and stunning Atlantic seascapes. 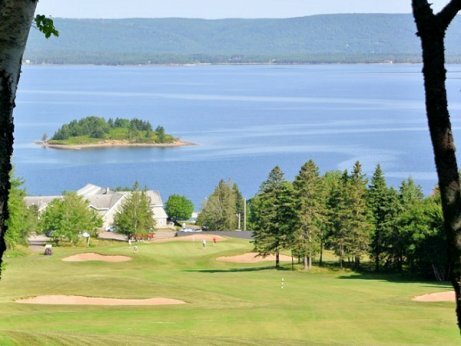 Tee off at any of Cape Breton’s award-winning Fabulous Foursome courses, or play mainland Nova Scotia’s Glen Arbour, Northumberland Links, The Pines, and Granite Springs—just some of the sure-bet courses for an enjoyable and rewarding game that will delight novice and expert alike. Nova Scotia offers many world-class attractions like golfing in Cape Breton at world-ranked Cabot Links in Inverness and its sibling Cabot Cliffs golf course. Carved from seaside cliffs, the Bill Coore-Ben Crenshaw designed course features panoramic coastal views from 10 of the 18 holes. Spectacular distractions will be par for the course at Cabot Cliffs. 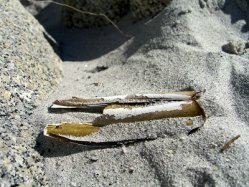 Nova Scotia is one of the premier coastal walking and hiking destinations in North America. cliffs rise above the world's highest tides. Walk the ocean floor in search of seacaves and semi-precious stones, or negotiate a coastal footpath descending into a trio of deep coastal canyons. Experience the Celtic heart of Nova Scotia at Cape Breton Highlands National Park - home to world-class hiking such as the Skyline Trail and the North River Trail. 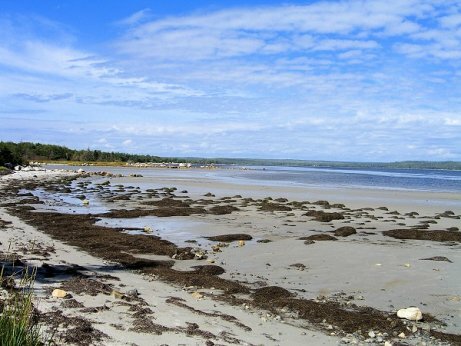 Ramble along our many coastal boardwalks and sandy beaches such as Taylor Head or Crystal Crescent Beach, overlooking quiet coves and inlets. Hike a "reversable trail" at the Kejimkujik Seaside Adjunct and watch seals basking in the summer sun, or hike the main park's 100km (60 miles) of beautiful woodland trails and revel in the presence of 300-year-old Hemlocks. research for species at risk, including the Blandings turtle and water pennywort. Kejimkujik, best known to canoeists and campers, is a gently rolling landscape where turtles bask along slow-moving rivers, and white-tailed deer slip silently through tranquil forests. For thousands of years, the Mi’kmaq canoed along these connecting waterways, and set up hunting and fishing camps along the shores.